RSNC Utah Ranch Sorting Association | Utah Sorting Assn. 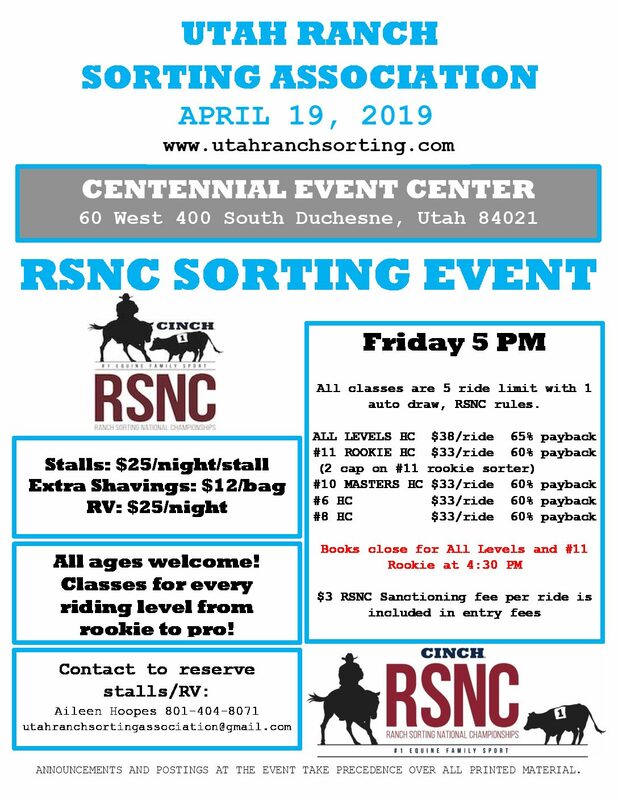 The RSNC Utah Ranch Sorting Association will be held on Friday, April 19th, 2019 in Duchesne, Utah. This Duchesne rodeo is held at Centennial Event Center. All Ages are welcome; classes for every riding level from rookie to pro.